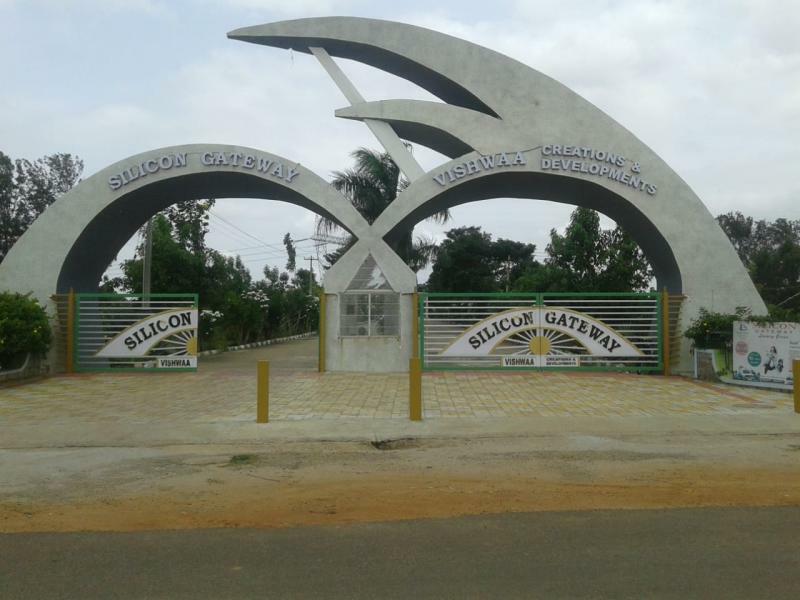 Our company has launched a new world class project called "VISHWA SILICON GATEWAY". In Our project we have an area of 66 Acres where we have set up 650 plots. All plots are A Katha Properties DTCP APPROVED plots with registration. This project is located near the upcoming Hosur Domestic Airport. 1 children park with children swimming pool and Equipments. We left place for Schools (2.5 acres). Water and sewage pipe line for each and every site already done. 2.5 km from sairam eng college. 3 kms from Hosur Airport. 1.5kms From Karnataka Tamil Nadu Border. 10kms From Hosur Bus Stand and Railway Station. 1. Domestic Airport sanctioned, and already 337 acres are acquired by airport authority (notices issued) and work is going in full pledge and it will be completed in 2019. 2. Ring road sanctioned for airport from hoskote. So that west Bangalore and KGF kolar will be connected and reach airport in 1 hour. 3. Construction-we are constructing Villas in the Budget of 27 Lacs and 30 lacs , already 30 villas booked , everyone know that if construction starts, price will hike around 30%. 4. Connectivity- Anekal has many roads from Bangalore South and Bangalore West. HDFC approved and providing 85% loan on plots and 90% loan for Villas. Villa plot price - 850/sqft.